I’ve admitted to being a bit clueless when it comes to fragrances but having said that, I love to smell good and there’s nothing quite like placing a brand new pristine bottle of beautifully packaged perfume on your dressing table. 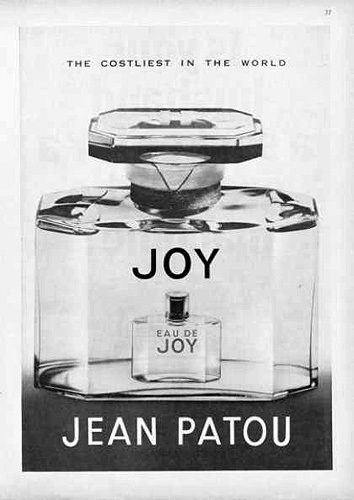 My family has one of those family folklores going on… apparently, my Aunt was bought a large bottle of Jean Patou’s Joy in the early 1960s as a gift from a very rich Jordanian in-law. A ‘welcome to the family’ gift if you will. It was hugely expensive, more because of the bottle than the scent I believe but my mother describes it as being many, many months wages. My Aunt didn’t like it much… and over the following months used it to freshen the toilet bowl in the bathroom! I wonder if she at least kept the bottle? I guess the moral of the story is never to spend more than £7.64 on a bottle of perfume for my Aunt. Personally, I’ve never spent more than £80 on a bottle, it’s not a hard and fast rule that I’ve introduced… I just try to be sensible and avoid the counters where I might be tempted to part with more than that. Frankly, I’m a good girl and 98.7% of the time I live within my means. Admittedly, there is one ‘name’ that consistently tempts me. Initials A.G. and it all started with a pair of perfumes created for her daughters. No prizes for guessing, but do any of you fragrance heads know the perfumes I’m talking about? 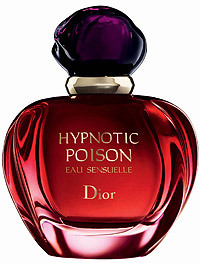 Dior’s new Hypnotic Poision Eau Sensuelle. This, I am hugely excited about. If you’ve read this, you’ll understand why! Will this new incarnation of Hypnotic Poison be enough to make me fall in love again? Due to be released in September priced around £48 for 50ml. 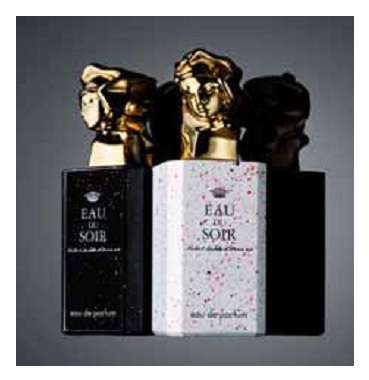 Sisley Eau du Soir is previewing this month with two very limited ediiton bottles simply named “Black and White” inspired by Anish Kapoor’s exhibition at The Royal Academy. The fragrance includes notes of fresh mandarin, grapefruit and patchouli with deep pepper, oakmoss, musk and amber. Priced at £162 each. They can be previewed instore at Selfridges from today. 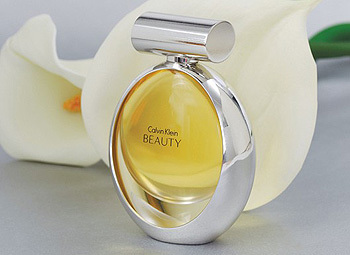 Fronting Calvin Klein’s new fragrance Beauty is German actress Diane Kruger. It’s already set to be a favourite this Christmas with that beautifully elegant bottle. Those with a nose for fragrances expect this to be a big hit with more mature consumers. 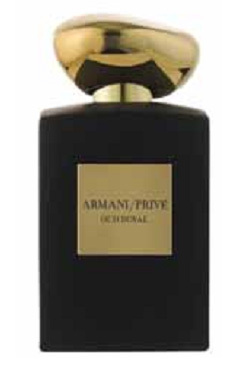 Available from the 25th August at Debenhams..
Lastly, Armani Privé Oud Royale is a Selfridges exclusive. Heavily influenced by the powerful, earthy scents of Arabian oils it will be available instore and online from the 18th July priced at £175. Yeah, I know the line you’re talking about … I like Eau de Charlotte better than Eau de Camille. At first it was the other way around, but then after getting decants of both, Eau de Camille just started to smell like soap to me, while Eau de Charlotte became more interesting with its slight nuances of berries and chocolate among the green garden notes. That’s so strange! Exactly how I felt about them! Was gutted not to like eau de Charlotte (what with that being my name)… I thought it smelt sickly and juvenile. But it’s grown on me so much… Whereas, my initial love for eau de Camille has waned considerably! I know so little about perfumes. The poshest perfumes I own are ‘Eau d’arpege’ from Lanvin and Pink from Lacoste lol. I prefer cheaper light perfumes, like vanilla, coconut: that kind of stuff. Fruity is my preference: goes with my personality haha. I fancy ‘orange’ from hugo boss but the price is slowing me down. I’ve been dreaming to see it cheaper on sites like cheapsmells.com, but I guess the perfume is still too new? Oh Liloo, my Mum adores Lanvin! I’m so sad I didn’t get to be on London the same time as you. I hear you had fun though! My rule for perfume buying: If it smells nice on your wrist two hours later..go buy it. I can’t tell you the amount of perfumes I’ve bought which smelled nice on me in the shop but stunk the second I wore them “properly”. I bought a set of D&G perfumes at Xmas and I love them all so I think one of those will become my signature scent. I don’t have that problem too often, but I do hate a gorgeous fragrance that just doesn’t last. Pet peeve! AG Petite Cherie is my fave; I’ve got a tiny sample of it, and our local Debenhams is taunting me with a lonely bottle that’s been on the shelf since the New Year. Love! Oh, I don’t think I’ve smelt that one. The problem with fragrances is that I always get so confused if I test too many in one sitting. Sigh… I’ll never become an aficionado! It’s quite a good daytime scent; smells of pears and grass to me. Would be lovely for the summer, if I could justify the expense! I don’t have any Goutal. I do have Serge Lutens though. Muscs de Koublai Khan. That’s expensive and so worth it. I’ve never had the pleasure of a sniff! She used Joy to clean her toilet bowl! Horrors! I love that fragrance. I had a teeny tiny bottle once and loved it. Can’t afford it now. I’m very picky about scents since most irritate me. I wear Joy every day, I love it and have worn it for years. If I go out in the evening in winter I wear Mitsouko. I do love Eau d’Hadrien and used to wear it in the summer but it started to give me headaches. The same happened to me with Eau d’Hadrien, I think that it just went bad because I didn’t storege it properly. Another line I’d love to explore is L’Artisan Parfumeur. I got a bunch of samples with a purchase and I fell in love with a fragace for men called Voleur de Roses. It smells of tobacco and roses. They also have a Mimosa scent that I’d love to have because it’s one of my favourite flowers. Oh. My. God, I can’t believe how expensive some of those are!!! I do like Hypnotic Poison, so I’m intrigued abotu the new one. My all time fave is Obsession by Calvin Klein. When you put on a nice out-fit and make-up on your face and you know you are looking pretty hot then you top it off with a good perfume that is not cheap girl that is the icing on the cake. I have smelled the Poison perfume and it smells good so the new Hypntonic Poison most likely smells good.